Vitamins & MineralsFOURPLUS 4+ Vita E+ - 90 kaps. FOURPLUS 4+ Vita E+ - 90 kaps. 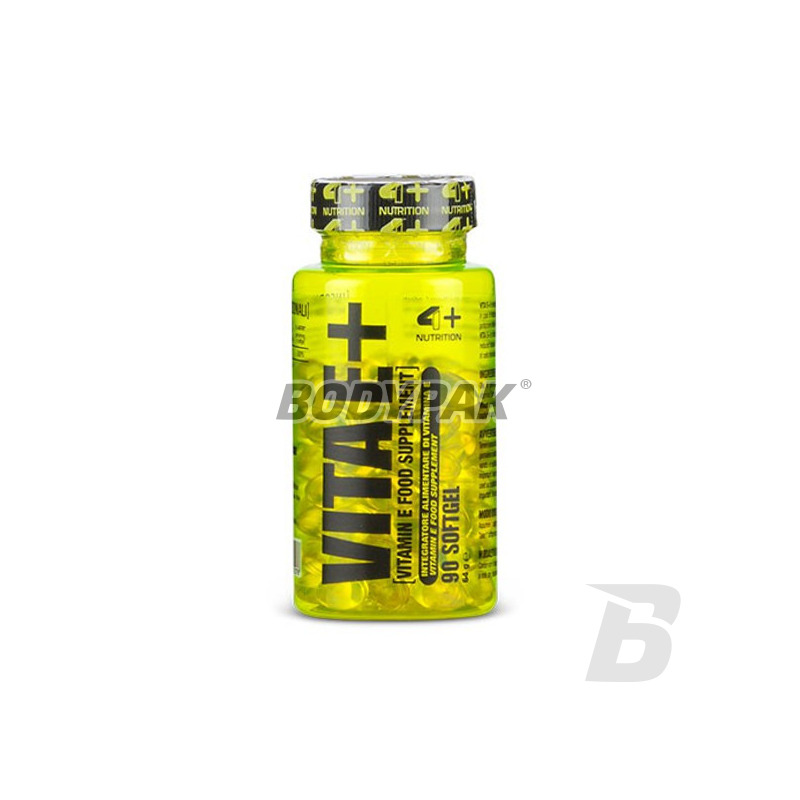 4+ Vita E + - is a supplement supplementing the diet with vitamin E. Vitamin E, or tocopherol, is a naturally occurring substance in the body, which is essential for the proper functioning of man. Vitamin E is the most powerful natural antioxidant that neutralizes the activity of free radicals. Free oxygen radicals are generated during the whole life of the human toxic substances which have a deleterious effect on the body - the cause damage to cell membranes, destroying the genetic material (DNA) and to accelerate the aging process. 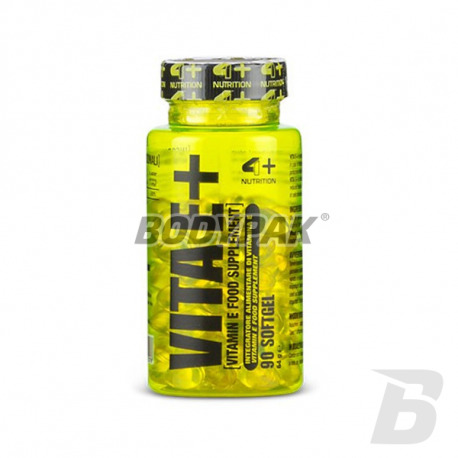 With supplementation of vitamin E, the body becomes protected from the damaging effects of free radicals. In addition to the antioxidant action, the vitamin E also plays other roles in the body - strengthens the walls of blood vessels and has beneficial effects on the stability of red krwinek- prevents their premature disintegration. Vitamin E plays an important role in the transport of nutrients between cells. Vitamin E is widely used in people affected by infertility and in people with muscle disorders, heart disease and atherosclerosis. It is very important that vitamin E consumed tobacco smokers. Numerous scientific studies we found that cigarette smoke causes the degeneration of vitamin E, so it is necessary to provide it with greater quantities by the diet. In the case of vitamin E, the person becomes irritable, weakens concentration, muscles become weaker, the skin begins to age much faster, is keratosis, wounds heal poorly. It can also occur visual impairment, infertility and anemia. It is very difficult to overdose of vitamin E, hypervitaminosis can be revealed only in case the consumption of very large doses of 1000 mg for a long period of time. Składniki: olej słonecznikowy, kapsułka: żelatyna, substancja wiążąca (glicerol); witamina E (dl-alfa-tokoferol).